Welcome to St. Ignatius of Antioch. We are a parish in the Diocese of Chicago, in Northern Lake County. We are an open community of Christians who seek hope, mercy, and compassion through the words and teachings of Jesus. We blend contemporary spiritual pilgrimage with ancient traditions. Our parish is built of people from a variety of experiences united together as the body of Christ. All are welcome here. Our space is available to rent for parties and events. Call 847-395-0652 for details! God's Will Resale Shop is an ongoing ministry we have at St. Ignatius. 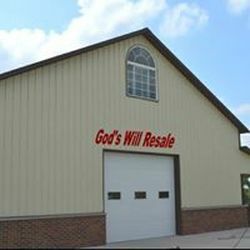 God's Will Resale accepts gently used clothing and housewares to be sold at very low cost to the public as a means of raising funds for a number of area charitable organizations. We also offer items for free to individuals and families in need. If you have a donation you would like to offer, or know of a family that is in need of household items, please call the office at 847-395-0652. St. Ignatius volunteers offer pickups twice a month to local donors to pick up free of charge any large items such as furniture. For further information, please check out God's Will Resale website. St. Ignatius is home to Antioch Community Counseling Services (ACCS). ACCS offers low cost mental health care counseling by a licensed counselor. This vital ministry meets by appointment only. Cost for sessions can be reduced through the ACCS sliding scale. At ACCS and St. Ignatius, we feel that mental health care should be accessible to all regardless of income. If you would like an appointment, or know of someone in need of mental health care, please reach out to ACCS at 847-454-3111. 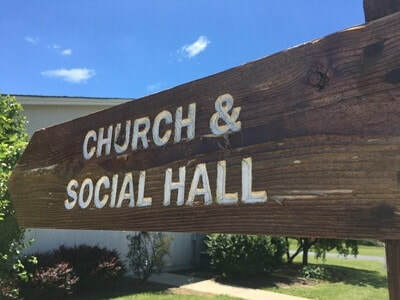 This ministry is funded completely by donations. If you would like to donate funds to help keep counseling at little to no cost for those in need, please call as well.